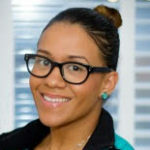 Dilia Barboza is a MilVet student at the School of General Studies, Columbia University. This is her third year working toward her B.A. in psychology. Before joining the program, she was a Gunnery Sergeant in the United States Marine Corps. During her time on active duty, she realized how passionate she felt about advocacy and mentoring. Her experiences in the military allow her to see and understand the veteran and the complexity of the transition into civilian life.